The firm Anderson Architecture was formed in 2002 to explore domestic architecture with an emphasis on humane design and a priority on natural light and tactile materials, to bring projects to life. A connection with the natural and built environments is key to the firms thinking. The use of passive design ideas along, with active systems to reduce a building energy use, is a driving force. Computer thermally modeling to engage clients and give them feedback about heating, cooling, glazing and insulation is a key feedback loop in the design process. Now employing 6 people the firm has been recognised with many awards for sustainable design and in judging sustainable resilient architecture. 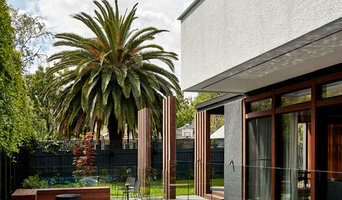 Justin Humphrey Architect is a design-focussed architecture and interior design practice based on the Gold Coast. From large custom houses to small renovations, we approach each project with an open mind and desire to create site-responsive, functional, considered and exciting spaces designed to enrich the lives of our clients. Our design process is driven by considered design ideas, rigour and the tangible value of great architecture. We believe that great design can improve the way we live. This is why we became architects. We love the collaborative and personal nature of the client relationship in residential architecture. A thorough understanding of our clients and how they live, allow us to tailor creative solutions specifically for them. We are known for delivering first-class personal service and support through every stage of the design and build process.